Aimless Bullet is the magnum opus of director Yoo Hyeon-mok, who is a living testament to Korean realist cinema. It has been named the “best Korean film”on numerous lists. Yoo immersed himself in experimenting with Western film language after his debut, but his recognition of the vacuity of formal experimentation that is not underwritten by self-reality made him turn instead to the actualities of Korean society. Aimless Bullet is the result of this new direction in his cinematic exploration. 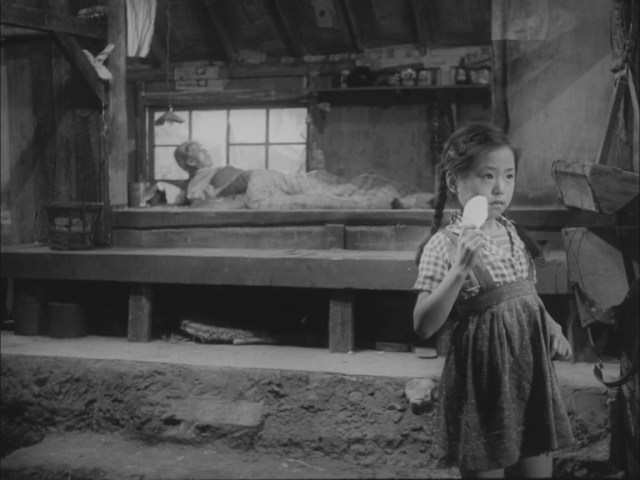 The film represents the wounds left by the Korean War and the impecunious conditions prevailing in post-war society through the plight suffered by the constituents of a single family. Although these characters strive to attain a better life, they are defeated in the battle against reality and lose direction. 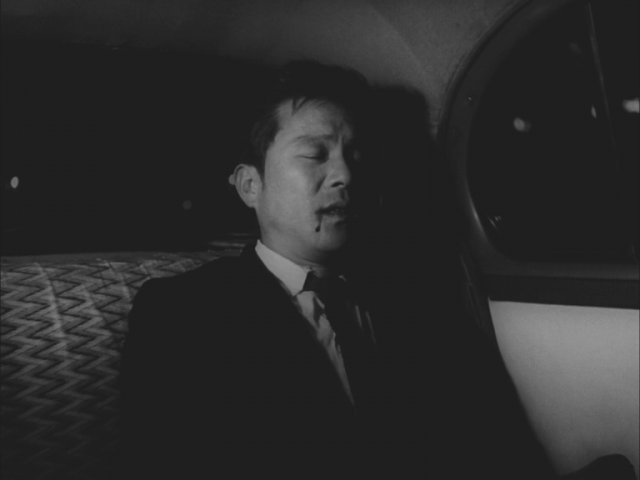 In particular, Aimless Bullet effectively evokes the social atmosphere of the time by focusing on protagonist Yeong-ho’s helplessness and despair. All Yeong-ho can do in the face of his family’s pain and desperation is to stand by and watch them suffer. Overcome by despondency following his wife’s death, he has his ailing tooth removed and gets into a taxi, crying ’’Let’s go’’ just like his crazy mother. The film’s realistic approach and extraordinary visual expression in capturing the family’s tragic situation shows Yoo Hyeon-mok his future path as an auteur on the one hand, and presents an archetype for Korean realism on the other (Kwon Yong-min). 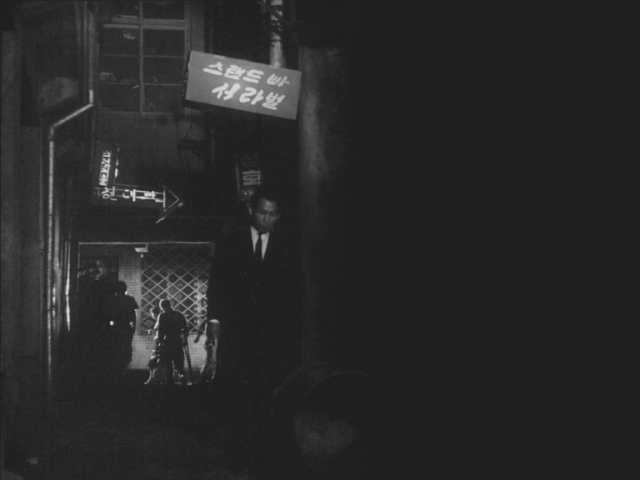 Yoo deftly employs a wide range of techniques, from such Western modernist elements as montage and expressionism to the conventions of the Hollywood gangster film, to portray the dead-end reality facing Yeong-ho and his family. Such distinctions make Aimless Bullet Yoo’s finest work in aesthetic terms as well as in others. – Although Aimless Bullet opened in theatres on April 13, 1961, it failed to garner a positive response from contemporary audiences. 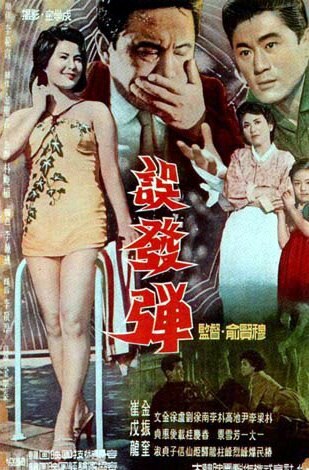 It was later re-released on July 17 of the same year, but was forced to end its theatrical run by the military regime that came to power through the May 16 coup d’etat. What finally brought Aimless Bullet within the public’s purview was its third release in 1963, which was enabled by the film’s submission to the San Francisco International Film Festival. – With a production budget of 8 million hwan, the film was jointly financed by director Yoo Hyeon-mok, director of cinematography Kim Hak-seong, and lighting director Kim Seong-chun, who was then head of the technological association that produced the film and regarded as a master of cinematic lighting. Other crew members and even its star-studded cast, including Kim Jin-kyu, Choi Mu-ryong, Yoon Il-bong, Moon Jeong-suk, and Kim Hye-Jeong, worked without pay except for a minimal amount for living expenses. Nonetheless, production stretched out over 13 months due to budget shortages.